A deep story featuring our hero Roughshot, robot butlers, space loot and… clean teeth. RIVE is a platforming shoot-em-up game created by the Dutch video game company Two Tribes. When space scavenger Roughshot gets trapped on a mysterious starship, he has to form a surprising alliance. Don’t care about the story? Just shoot the messenger. Literally. RIVE is a classic 2D side-scrolling platformer mixed with shooting elements, with the ability to shoot in full 360 degrees around your character who gains the ability to “alter the behavior of their robotic enemies by collecting and uploading hacks”. Ever dreamed of controlling your enemies? In RIVE you can. Find the hacks and get those gun turrets, nurse drones and irritable smashbots on your side. The game itself will be smaller than Toki Tori 2+ was. The game also features a mission system and high scores for players to come back to after completing the game’s story. Upgrade your spider tank’s special attacks, armor and loot magnet. Gather hacks and control your enemies. 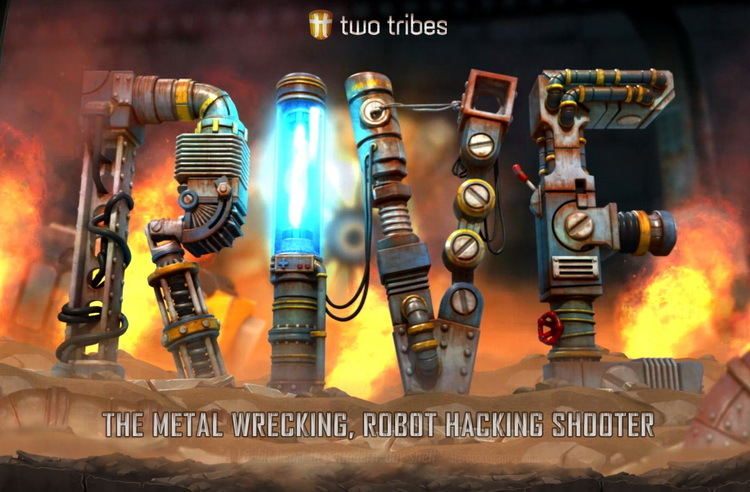 RIVE is a side-scrolling twin-stick shooter developed and published by Two Tribes. This is going to be the final game of the developers, mostly famous for the fun platformer Toki Tori. 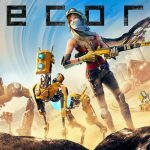 A graphically stunning and superb 'shoot-em-up' that deserves every gamers attention. RIVE - the metal wrecking, robot hacking shooter! During the intense 360 degree shooting and platforming action, players learn to alter the behavior of their robotic enemies by collecting and uploading hacks. It's got a little Metal Slug, a little Blaster Master and the enemy intensity of a good twin stick shooter like Assault Android Cactus or Geometry Wars. Overall, RIVE is a good and competent final effort of Two Tribes. Fans of twin-stick shooters are going to love this game for how polished the experience is.